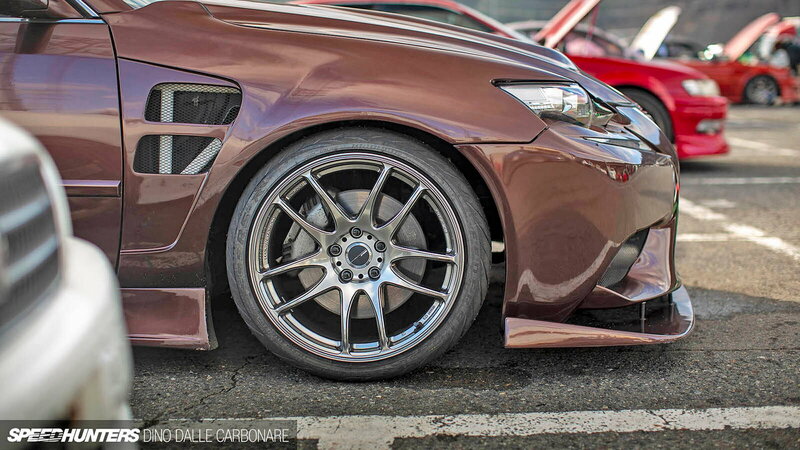 Daily Slideshow: It may not have made it to the mainstream auto world, but this Lexus drifter wagon is a worthy competitor in a world full of sporty sedans. While an actual super drifter wagon from Lexus doesn't actually exist, this sporty ride offers a tantalizing look at what one could look like. The wagon has been remodeled with classic Lexus design features. When it comes to performance, a number of upgrades and additions help keep this wagon at the front of the pack. 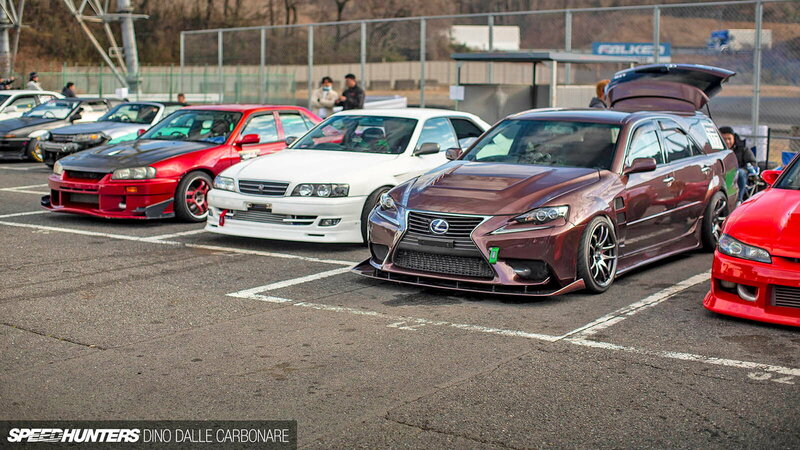 A super drifter wagon like this hasn't hit the track at Tokyo Auto Salon in a few years. If you're not familiar, the Tokyo Auto Salon is one of the premier global motor shows for cars that have been modified and tuned. You'll find an array of incredible supercars at the annual event. The show, held at the Makuhari Messe conference center in Chiba, Japan, offers everything from innovative tuning technologies to dress-up parts, aftermarket parts and more. The IS wagon is just one of many examples of what you might find at the show. Join the conversation about this converted drifting IS station wagon right here in ClubLexus.com. Street legal wagons aren't quite as exhilarating, but their combined aesthetics and performance makes them an encouraging source of inspiration. Let's take a look at some of the sportiest wagons on the road to date. First up is the Dodge Magnum SRT-8. 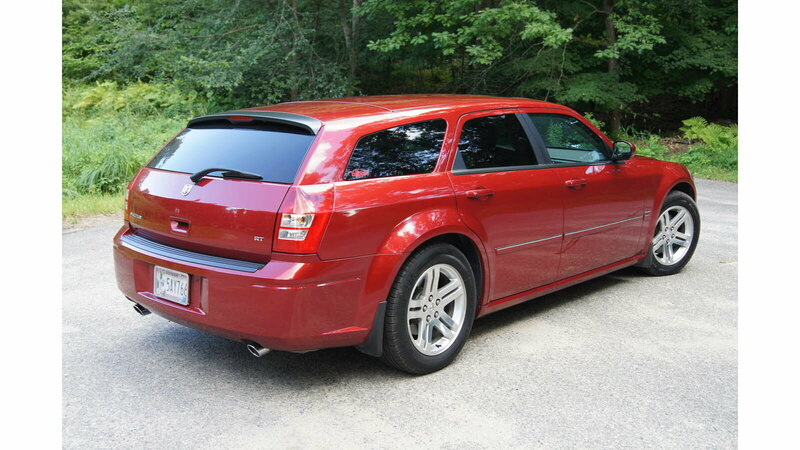 The Dodge Magnum SRT-8 experienced a rebirth in 2005 on the Chrysler LX platform. The station wagon was produced from 2004 to 2008 and had a lot to offer in terms of performance. Some of the highlights included a 6.1-liter Hemi engine with an output of 425 horsepower, along with larger Brembo brakes and 20-inch wheels. Available transmissions included four and five-speed automatic transmissions. The Cadillac CTS Sport Wagon followed in 2010 but had a short-lived career. The Cadillac first hit the streets in 2010 and turned heads with its sleek and sporty body. A CTS version was introduced the following year and was available in all-wheel drive or rear-wheel drive versions. The smaller 3.0-liter engine yielded a 270 horsepower output, while the 3.6-liter engine delivered a robust 304 horsepower output. The vehicle was designed primarily for Europeans, given the lower demand for wagons in the USA. 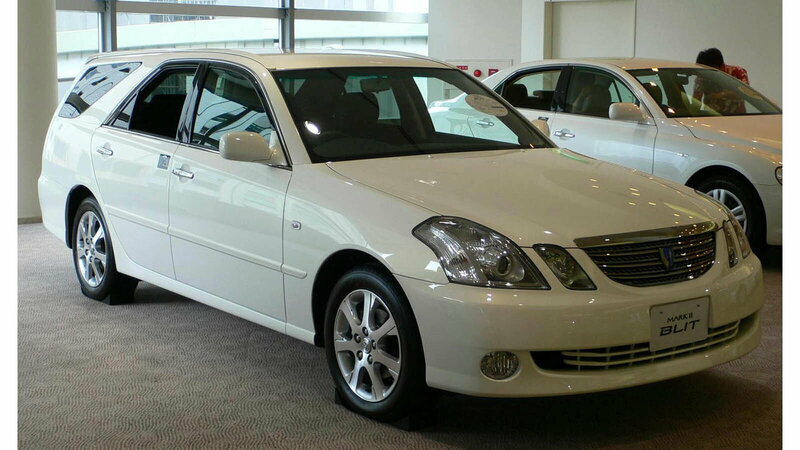 The JZX110 Mark II Blit was produced by Toyota between 2002 and 2007. The mid-size station wagon was available with four and five-speed automatic transmissions and had both four-wheel and rear-wheel drive. A variety of engines were found in the car, from the base 2.0-liter to two 2.5-liter variations and an optional turbocharged 2.5-liter engine. It's not difficult to distinguish the IS racing wagon from Toyota's generic-looking JZX110 Mark II Blit, although they share some of the lineage. For example, the Blit was equipped with rear-wheel drive. The available 2.5-liter 1JZ-GTE made the car a bit livelier on the road, especially for a wagon. The Lexus IS drifter wagon features sharper lines and a more modern appearance overall, complete with an eye-catching spindle grille. Aerodynamic components help to further distinguish the two wagons. 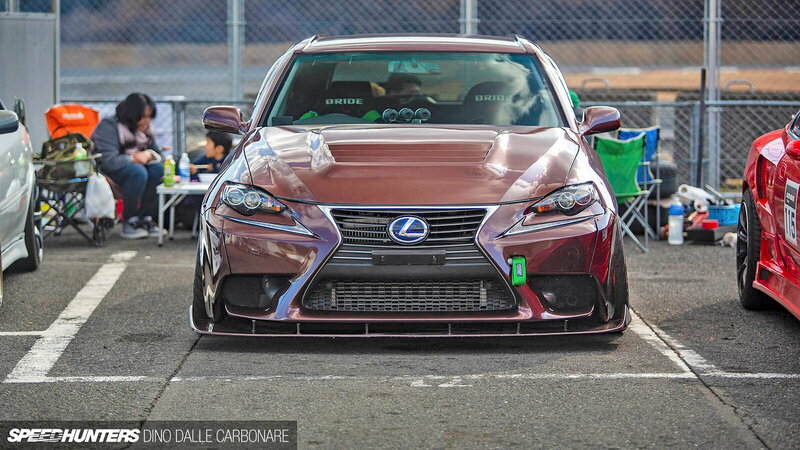 This coveted Lexus super wagon required a bit of a facelift before hitting the track. While its sporty, modern lines helped to set it apart from its distant relatives to begin with, features such as a vented hood and fenders definitely added to its unique appearance. The sporty wagon is custom built and custom painted, and shares similar a similar selection of parts as Kazama Auto provides for the JZX110. Its commanding looks turn heads on the outside, but the sporty IS wagon is also full of goodies on the inside. Some of the highlights include GReddy Profec boost controllers and a Nardi steering wheel. The boost controllers are designed for intuitive and user-friendly operation, yet are slender enough to require just a minimal amount of space. Nardi steering wheels blend technology and quality. Depending on which style wheel you get, the grip is designed to be the most comfortable and practical for the task at hand, whether you need a wheel that's sporty or classic. 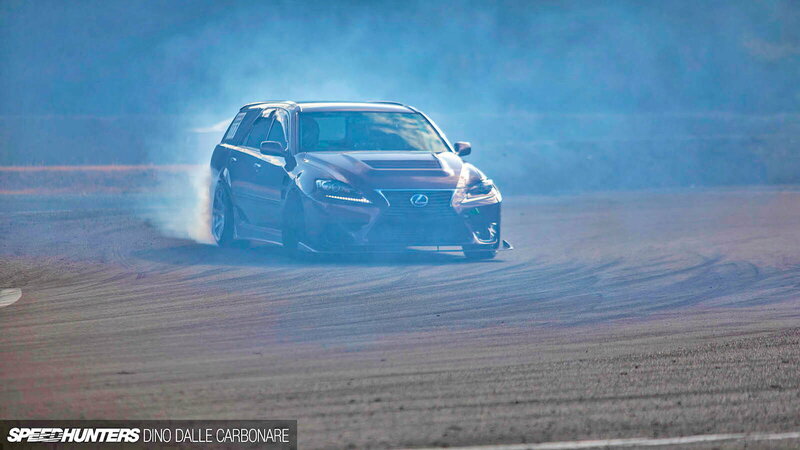 A drifting super wagon isn't typically your lightest or most aerodynamic race car. Having some extra performance-enhancing components helps keep this speedy wagon stable without compromising its performance. 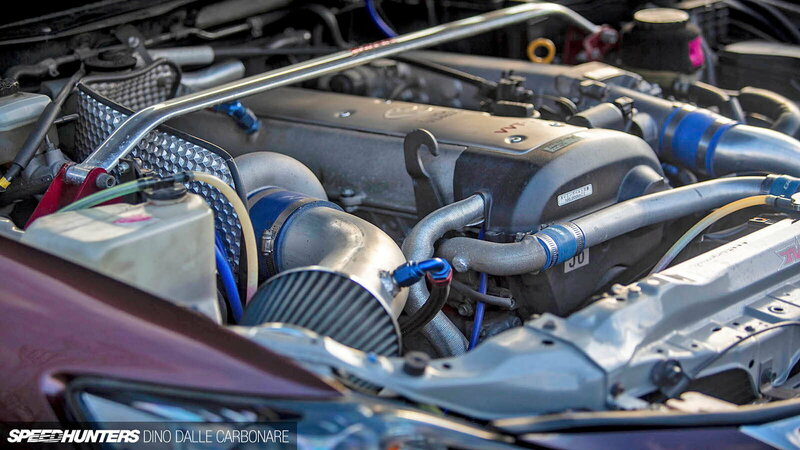 An external wastegate keeps the boost pressure in check as the engine revs up, allowing for maximum performance without blowing out the engine. 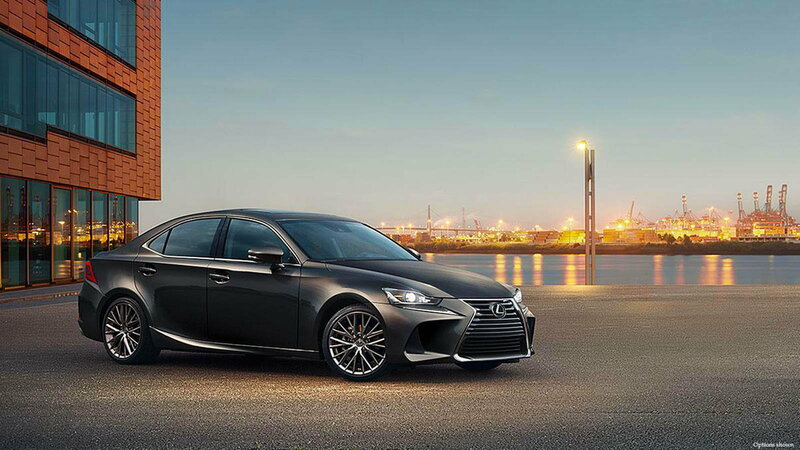 In its current state, the Lexus IS only comes in sedan form. You'll find plenty of similarities between the street-legal IS and its dreamy wagon relative. The IS is renowned for its bold design, including fused edges for a more streamlined appearance and an aggressive stance combined with a low profile. Whether it's cruising down the road or careening around a corner on the race track, the IS hugs corners while staying solidly grounded on the road.